19 feet tall water slide in some truly awesome colors with a very realistic wave on top makes this inflatable slide the most eye catching one around. has a giagantic pool at the bottom for the ultimate splash landing. 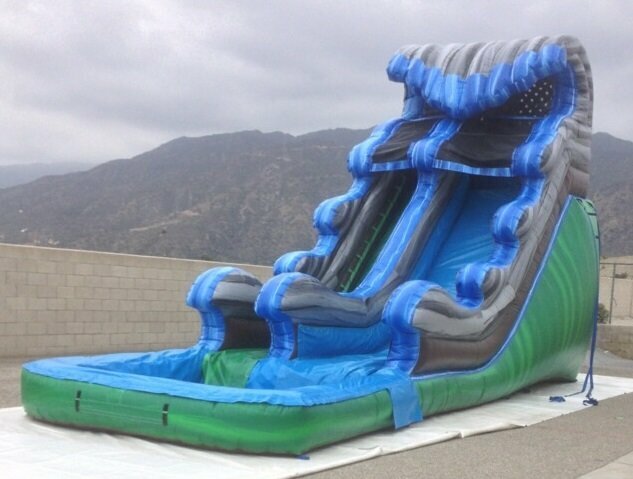 We have the largest selection of water slides and bounce houses in Lakeland, Winter Haven, Auburndale and all other Polk County florida locations, our pricing is competetive and our cleanliness is the best available, we actually care if your event goes as you would want, without late deliveries, dirty worn out inflatables and rude customer service.